We go and eat out often. In most cases, we do this to be with friends. Well, eating something special (e.g. 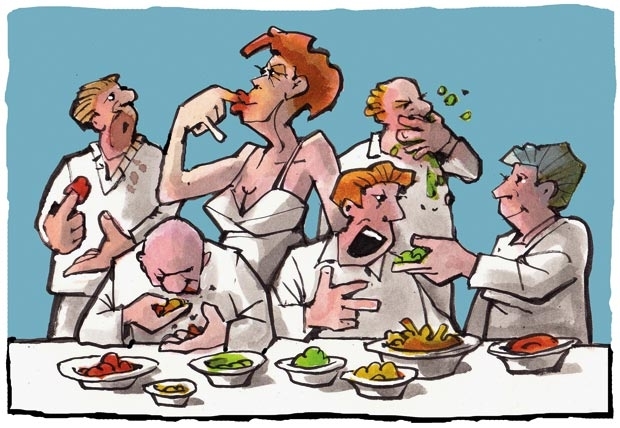 a different cuisine) and being in a different ambience is also an idea. But what matters is the people we eat with. This makes the occasion memorable. You see pictures on the Facebook where we see more photos of friends sitting on the dining table and very rarely photos of the dishes we eat! Most of us visit some of the famous restaurants in the cities we travel to. Each city has a list of iconic restaurants that are recommended as a must (like you see on TripAdvisor). We make appointments or book tables at these restaurants to experience the eating and then talk about it on WhatsApp. And there is also a “hidden” list of little restaurants that are tugged in the narrow by lanes – generally in the old quarters of the city. Owners of these restaurants are there for generations, they don’t change even the furniture and so forget changing the menu! They follow the traditions and that’s why you love them. I have been patronizing many such restaurants. These restaurants were introduced to me by my friends because of their cuisine, ambience and uniqueness. A concoction of all the three added with friendliness and generosity of the host made the lunches and dinners at these restaurants rather memorable. But above all, as I earlier said, you always remember the people you ate with, the conversations you enjoyed and the friendship that gets brewed. I simply hate business dinners. Informal sessions with friends are the best. I remember dining at a little restaurant in Paris. The restaurant was close to Eifel tower. There was a deal. You could book Chef’s time (at some extra cost) to have him dine with you. The Chef would customize the dinner and the wines to everybody’s taste and discuss French cuisine with stories to give you a true gastronomical experience. Six of us went to the restaurant on a Friday evening. My local host booked for Chef Andre. Andre set up our tables on the street outside the restaurant with cane chairs having a round base (like the Irani restaurants in Mumbai). Andre had a stocky and large body with chubby cheeks and a moustache similar to the Bar Tender in the movie Irma la deuce. He had a happy face and was full of life. He spoke broken English. But his daughter Noel who served the dishes could speak much better. She was a very pretty and witty girl. The dinner was wonderful. Andre asked us questions on what we liked, where we wanted to be adventurous and what were our allergies (like sea food for me). He then thought, closed his eyes for a while and said something in French giving instructions to Noel. Both father and daughter got inside restaurant and took one us to the kitchen – to watch cooking. This experience was great. We took turns. The dinner and the discourse lasted for 3 hours and all of us enjoyed the experience. At the end, when we were having the deserts with wine, Noel sang a French ballad in a soft voice – that looked impromptu. Andre played a box guitar to accompany and he was pretty good too. I later learnt that the ballad was about saying good bye when you were about to fall in love! Talking about singing, have you been to the singing waiters and cooks restaurant in Manila? The Singing Cooks & Waiters is the first, the original and the only musical restaurant of its kind in the world. The restaurant was conceived by Mr. Ongpauco. I went there for the first time in 1995 with a bunch of friends. We not only listened to some great philipino voices during dinner but discovered musical talent amongst us that we did not know about! A colleague of mine who was workaholic and always had a constipated face, sang a lovely Tom Jones number. We were simply astonished and floored to witness his hidden talent. The ambience and the mood of the restaurant had certainly made the difference. But there are occasions we want to be at a quiet place basically for conversations with no agenda. I would recommend two interesting restaurants in India for this purpose. One is the Lodi Garden restaurant in Delhi and the other Kairavali in Bangalore. But let me talk here about Lodi. 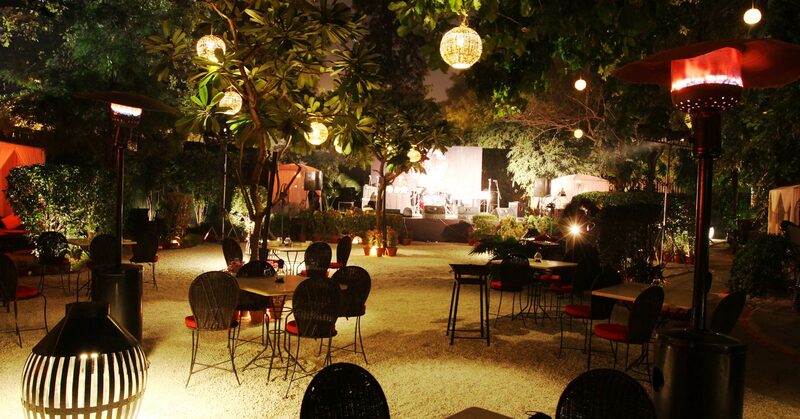 Known for its romantic setting & natural surroundings, Lodi is touted as Delhi’s favorite alfresco restaurant. I have had most interesting conversations in the garden portion of this restaurant with several page 3 personalities of India – influential and learned people who speak words that walk with you after you dine. Lodi is essentially a non-institutional high profile cultural hub. The best time to be there is evenings – a bit early like 7 30 pm and start with cocktails. The wine bar at Lodi boasts of an extensive wine list and a 16-tap wine machine and is popular for its innovative cocktails. The best part of Lodi’s is the sparse placement of tables in the garden area and proximity to the trees. You feel that you are sitting and chatting in the garden of your own house. You also feel private while conversing with someone intimate to you. You feel like confiding to share your concerns, worries as well as joys and happy moments in life – but with no agenda. The conversations simply sail or drift like a ship with a slow but steady wind on a lazy sea. Often you don’t even realize that you have reached an unknown destination in the conversations. I remember a quiet dinner with a close friend of mine at Lodi’s when she disclosed to me that she was hit by a cancer of bone marrow and had only six months to live. There was silence when she spoke about this dreadful disease. The truth was harsh but the trees around us were patient and kind. They listened to her agonies. They didn’t even whisper. I saw her unmoved with a courageous face. I held her hand while walking out of the restaurant – and firmly so – to let her know how much pained I was. There was also a promise to express that I will stand by next to her in these difficult times. It was a dinner to realize how do you take a trauma with courage and elegance. But let me not depress you. Well, have you heard about EatWith? If you visit the website, it says that “The future of dining is here”. EatWith invites you to join at a “communal table” to lunch/dine located in 200+ cities and 50 countries around the world. The concept is simple. You log in and access the 650 hosts who are profiled on the EatWith. Hosts are offering lunch or dining service from their homes because they love cooking, meeting with strangers and in the process, make some money. You select the host based on the menus displayed and make a booking. You are generally in small numbers, so could do interesting conversations, make new friends and of course converse with the chef host to learn more about the recipes. On my recommendations, a friend of mine visited Chef Yves in the famous market La Boqueria in the Raval district of Barcelona. There were four customers who met Chef Yves at the market at 5 30 pm. The Chef walked them through the colorful market stands nearby, and introduced different to them local and fresh products that are the basis of Catalan gastronomy. After the interactive food tour, they were taken to Chef’s personal kitchen in the little village of Esplugues de Llobregat, 15 minutes driving from Barcelona. Here they were then taught way around his catalan kitchen while following the instructions for the preparation of a delicious 3 course dinner that took about 2 hours. Every participant was given a cutting board, the required tools and an apron to take an active role in the cooking class. After cooking was done, the dinner was set up on a rooftop terrace that overlooked Barcelona – city warmly lit with lights at the night. I asked my friend why this dinner was so memorable to him. He was a bit hesitant to answer my question. But when coaxed, he told me that he was in a very interesting company of three women for the cooking and dinner. He got famously along with one of the women, and both of them kind of flipped on each other. The conversations got a bit personal too – and more so with each glass of green wine that the Chef generously served. After few drinks, Chef Yves brought meatballs stuffed with the cuttlefish tentacles and stewed in a fish broth. The woman asked my friend to get up and walk down the staircase with her. My friend obeyed. As they reached the patio downstairs, she held him tight and gave him a long and a deep kiss. My friend was simply shocked and dazed. Oh, I then understood the excitmnent and the fizz of eating with!